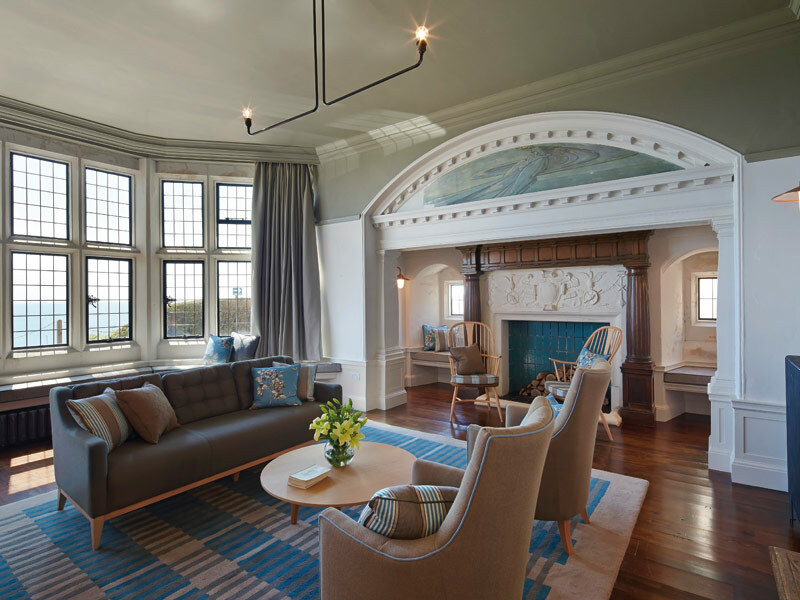 Roedean School received a major revamp from BuckleyGrayYeoman, taking the four listed Arts and Crafts boarding houses into the 21st century. 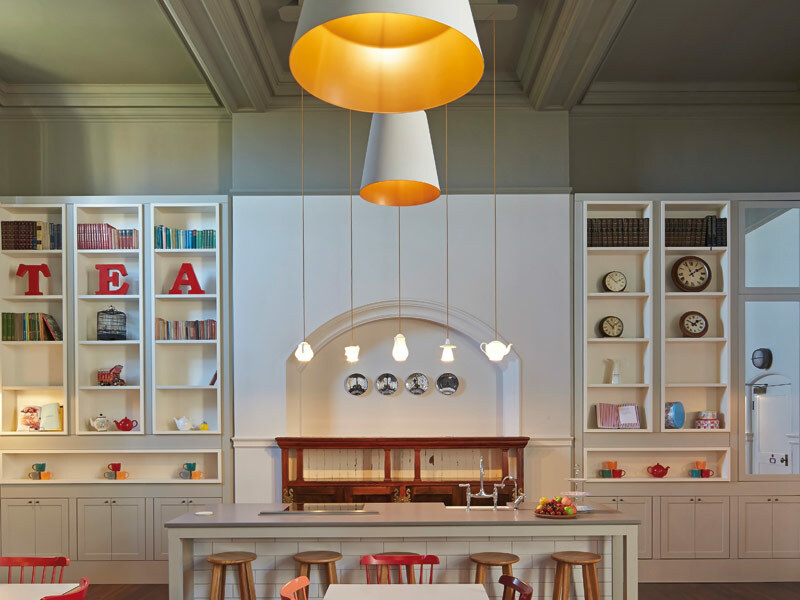 Architecture practice BuckleyGray Yeoman has refurbished four Grade II listed boarding houses at Roedean, bringing the Victorian buildings firmly into the 21st century with a refurbishment that is both sensitive and tasteful. For one of the world's leading independent girls' schools, on the UK's south coast in Sussex, the four Victorian Arts and Crafts boarding houses were designed by Sir John Simpson and built in 1898. Drawing inspiration on the surrounding natural beauty - a 45-acre coastal campus, which lies just outside Brighton and within the South Downs National Park - the practice was also keen on the idea of 'home', using its project experience on private residences and boutique hotel spaces in the refurbishment. Each house has 33 bedrooms for 39 boarders and a wide range of communal areas - including prep rooms, dining rooms, bathrooms, drawing rooms and hobby rooms. BuckleyGrayYeoman has reduced the scale of the room by introducing a dark colour to the ceiling and top section of the wall, teaming them with pendant lights to provide a more domestic character. Colour palettes of blue, red, green and yellow are also played out in the fabrics, and carpet designs identify each house. 'We reinforced the "Englishness" by specifying largely English manufacturers and products,' says O'Hagan using British design brands including Ercol, James Burleigh and Innermost. Each house also features William Morris wallpapers, bespoke and handmade rugs and carpets, and light-hearted details - such as plywood deer heads. Artworks by past students hang throughout the common areas, providing a personal touch and giving a presence to the 'Old Roedeanians'. The contemporary design aesthetic creates lively and comfortable spaces that also make the most of the school's rich heritage and the wonderful original detailing of the buildings. Key to the refurbishment was the transformation of the student bedrooms, which are mostly one or two-beds with a small number of three-bed rooms. 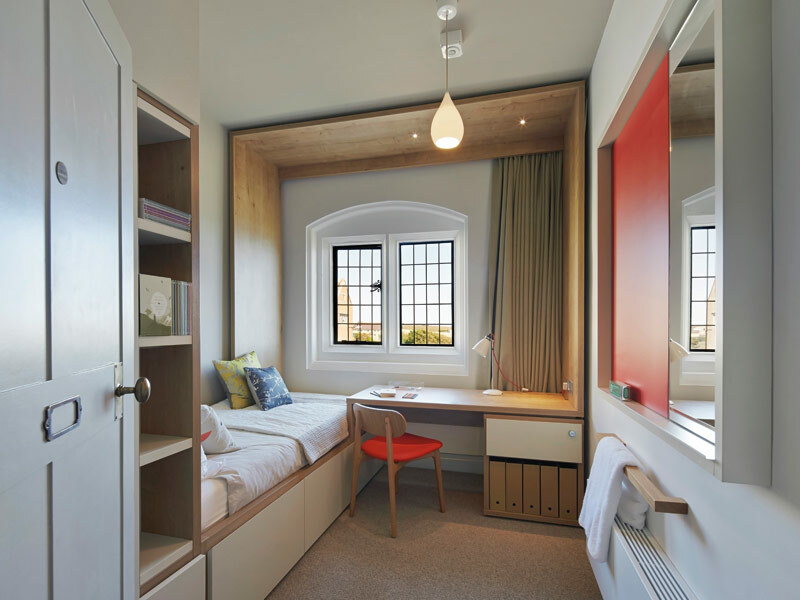 'We spent a long time thinking about how the rooms will be used and this informed the design of bespoke furniture and fittings to maximise the available space, creating warm, welcoming and well-organised rooms suitable for sleeping and private study,' explains O'Hagan. 'The bespoke furniture system integrates lighting fixtures and frames the windows and sea views beyond.' The rooms feature a neutral colour palette with highlights of blue, red, green or yellow. In addition to its work on the interior design, BuckleyGrayYeoman comprehensively overhauled the houses' electrical, plumbing and heating services. Energy-saving improvements such as new windows and insulation were installed as part of the refurbishment, within the constraints of listed building regulations. 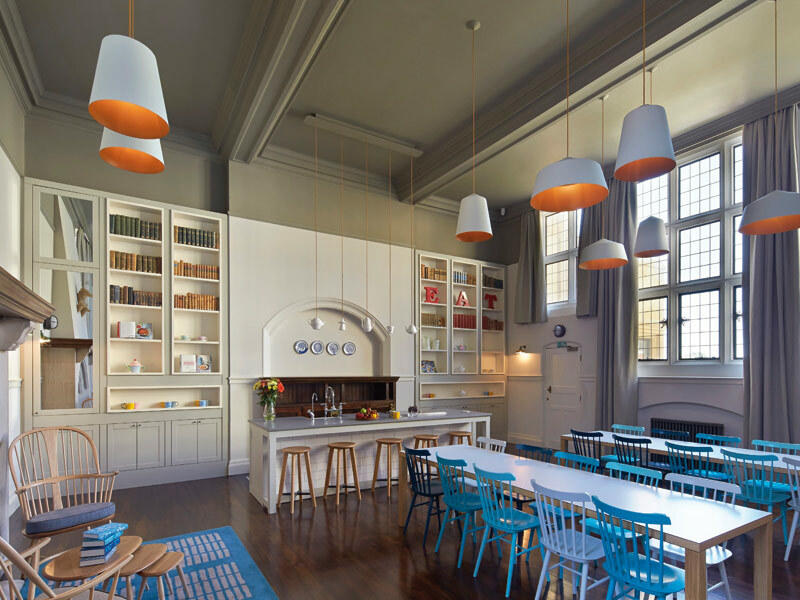 'The refurbishment of the boarding houses at Roedean is a fantastic project and one that underlines the value of working across the disciplines to keep ahead in architecture,' says Paul White, director of BuckleyGrayYeoman.